Who says that Astromech droids can only hold Death Star plans, get jacked by Jawas and co-pilot X-Wings? 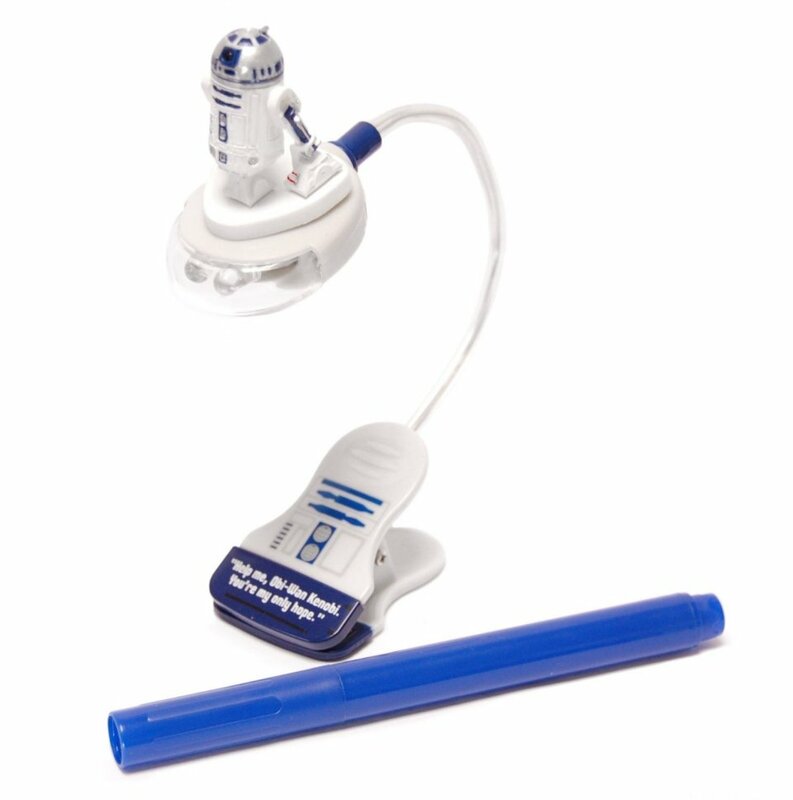 Let your favorite droid, R2-D2, light the way as you enjoy your favorite book. This book light clips to your book to help you read in the dark. It has an adjustable neck and bright LED bulb. 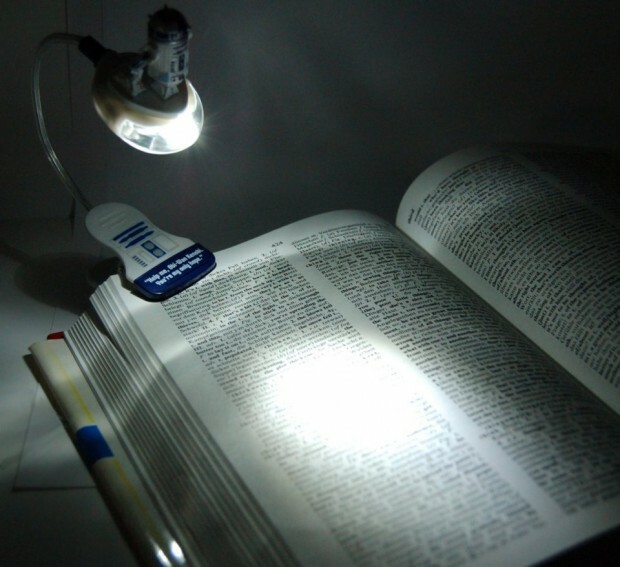 Now you can read and not bother others at night. Plus you’ll be hanging out with your little droid buddy, so I call that a win/win. R2 is here to help. It sure beats a Darth Vader version, who would probably slice your book in half with his lightsaber.